Mention Hainanese food and one will most likely think of chicken chop and kaya toast — I am one of those people. That was until recently, when I was introduced to Restoran Ping Wah by our support couple who spoke good things about the food there. The place looked like any other normal Chinese restaurant, with plastic tables and stools and bright florescent lights. Ping Wah’s food however, isn’t your usual Chinese tai chow fare. 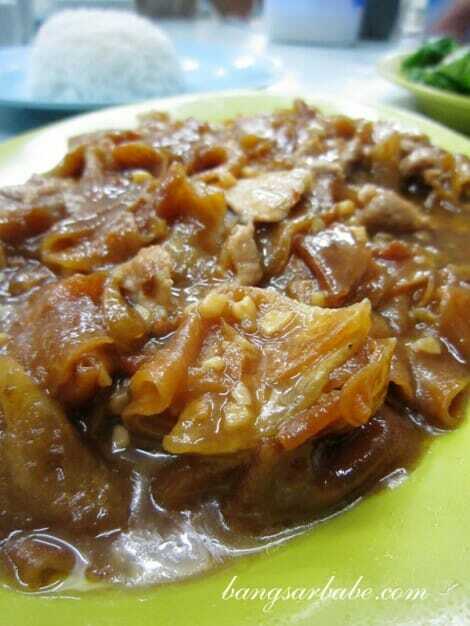 They serve homecooked Hainanese dishes so don’t expect to see chicken chop on the menu. 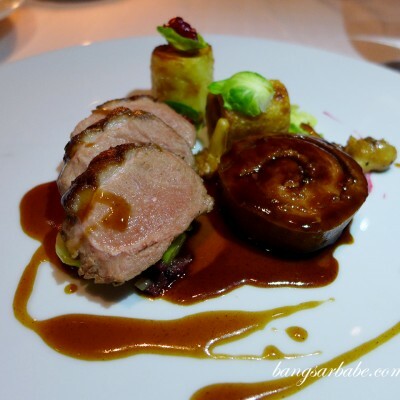 Our food arrived very quickly – I reckon we waited for less than 10 minutes before the dishes came out, one by one. Talk about fast food! I liked the braised pork with potato (RM10). Tender pork slivers cooked with slices of potato and onions, it brought back fond memories of the pork and potato dish my nanny used to cook for me. This dish leans slightly towards the sweet side, because of the caramelized onions and possibly a bit of sugar. 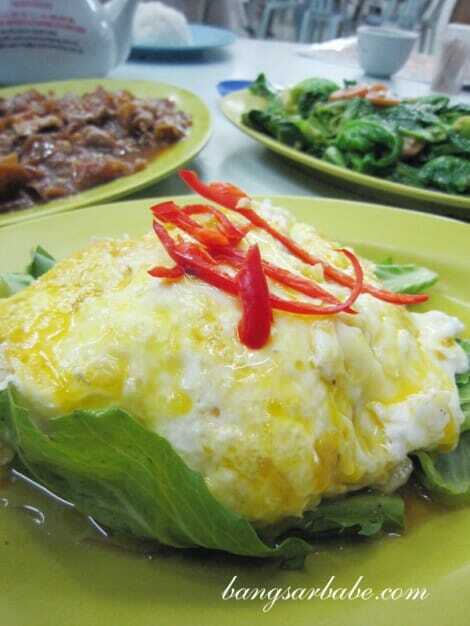 The choy poh egg (RM10) was no ordinary egg and it was my favourite dish that night. It was a simple yet well-prepared dish. 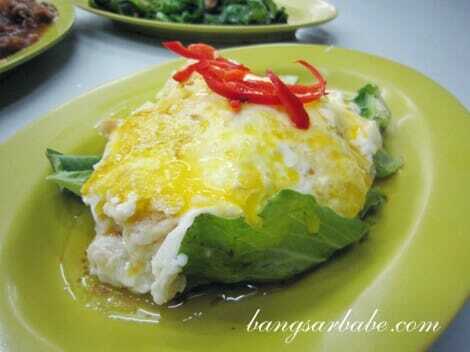 The egg white is cooked till fluffy before the egg yolk is poured on top for a creamy touch. Chopped choy poh (pickled vegetables) is added to give it a salty bite. I regretted ordering just a small portion of this dish. I actually wanted the pork knuckle, but the owner recommended the fish as I already ordered the braised pork with potato. 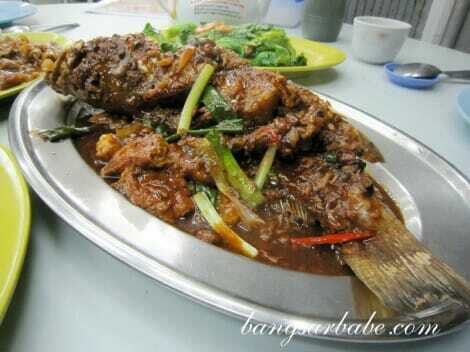 The garoupa (RM24) in bean sauce was a hit among his parents, especially his mum. 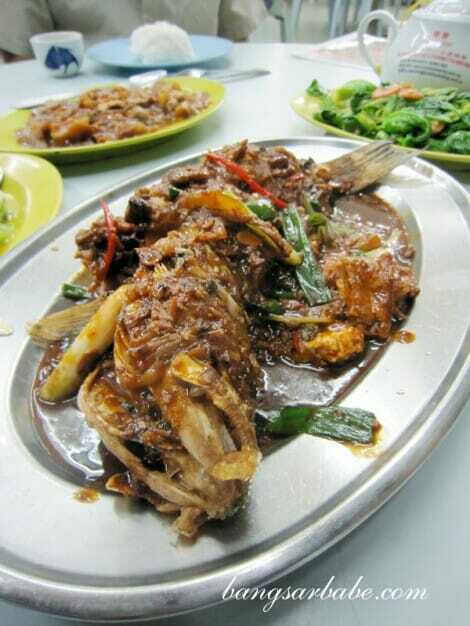 The fish was deep fried till crispy and topped with gravy, which was flavourful and had a hint of spiciness from the red chilli. My only gripe was that it was a tad overfried, causing some parts of the fish to be dry. 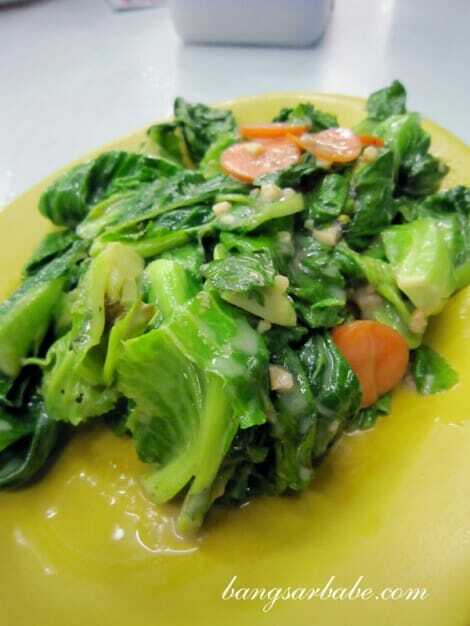 Despite how ordinary it looked, the stir fried choy tam (brussel sprouts leaves) with fermented beancurd was tasty. The choy tam (RM9) still retained its crunch and the beancurd didn’t overpower the natural flavour of the greens. The food at Ping Wah isn’t fancy. Instead, the dishes are simple, hearty and seemingly homeccoked. 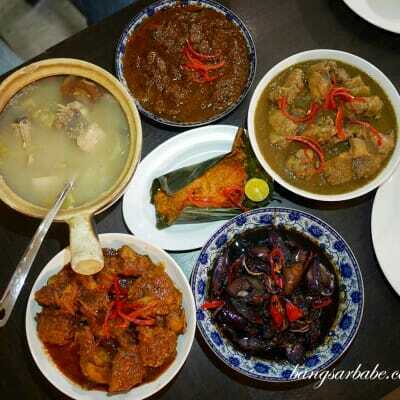 Prices are affordable; our meal came up to RM60. I’ll definitely return for more choy poh egg and to try the pork knuckle. Verdict: Simple, homecooked Hainanese fare and reasonable prices. Not sure of how Hainanese the dishes are, but yeah… this row of shops are pretty crowded during dinner hours. Thanks for the intro to this Hainanese eatery. No prob. Hope you’ll like it!